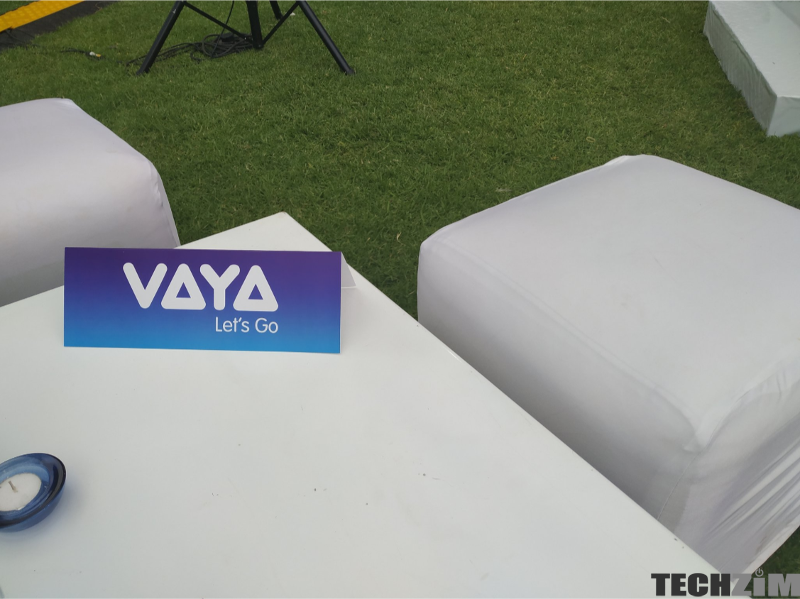 Home » Transportation » Is Vaya Lift Already The Most Popular Ride-Hailing App In Zimbabwe? Cassava Smarttech recently launched Vaya Lift, and due to their rather close relationship with Econet, that application quickly became the talk of the town. This popularity was furthered by the fact that Hwindi, a rival came out with some subtle claims of being copied by the Vaya and soon this too became a trending topic…All this had us thinking, “which ride-hailing is the most popular in Zimbabwe” and thus we have made a list of the ride-hailing apps in Zimbabwe. We’ve looked at how many times these applications have been downloaded along with the review score that the application has. Unfortunately, we only looked at the stats for these apps on Android and the Apple Store doesn’t show those numbers when accessing it from desktop. How are downloads counted by Google’s playstore? Google tabulates unique downloads of apps per user account. This means that they count only one download of an app no matter how many devices that you install that app on after you purchase it. This means if you have 4 devices and they are all logged into one Play Store account then even if you install the app on all 4 devices it is still considered as one download, which means the numbers appearing in the Play Store are not inflated. Who’s the king of ride-hailing? Unless if Vaya and Hwindi have 5000+ downloads on iOS and at the same time G-Taxi is in the 100’s then it’s probably safe to assume that G-Taxi is the most popular ride-hailing service in the country right now. This is a bit strange once you consider the fact that G-Taxi is the most expensive among Hwindi, Vaya and itself. This is a highly innacurate and inefficient way to measure the popularity of a service. Downloading the app does not equate to using the service. “a rival came out with some subtle claims of being by the Vaya and soon this too became a trending topic” Honest to God, just get an editor. I’m sure you really had something important to say here. Please !!!! “being by the Vaya” ???? its too soon to tell these things. usage and downloads are not the same and besides zimbabweans are trying everything and anything to make ends meet so if vaya driver app for example has 3000 downooads i wont be surprised because its a survival of the fittest in zimbabwe. Its too soon to measure vaya against all other apps which have been there for a while. This is unfair on techzim’s part. You are Econet biased you people. At the same time, this gives the other brands exposure and makes them more imoortant to compare them against econet. This article has a….. does TZ have an editor? It needs one. Okay, just to do your actual job for you, I’ve checked, all these Apps are getting downloads on Google Play but sadly, nobody is using them. My $0.02 is that people download the apps to check them out but never truly use them afterwards. Ask the developers for verifi-able useage stats. You won’t be amazed. Maybe the real question should be “How popular is ride hailing in Zimbabwe?”. You are trying too too hard to sell VAYA. All your articles from start even before VAYA went public you had VAYA infomation. Take a proper survey, talk to the drivers and riders. Apparently 75% of the customers riding VAYA and reviewing it are Econet, Steward and Econet related companies’ staff members. If we were to do your ‘silly analysis’ using playsytore driver apps downloads you will getting shocking data. VAYA has same number of drivers as riders. This is good for VAYA and riders but not the driver (car owner). VAYA pays $0.56c per km to drivers(car owner) and according to the latest “AA rates” the drivers (car owners) are actually operating at a loss when you put in dead mileage! The cheap is very expensive to the driver (car owner) in the long run.